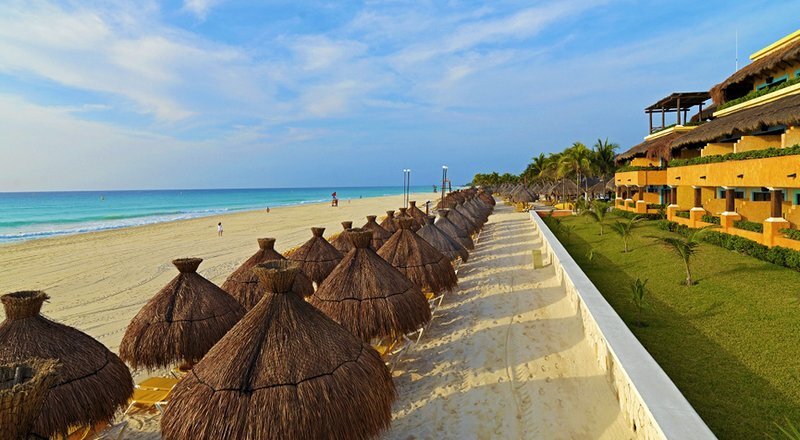 The IBEROSTAR Tucan (All Inclusive 24hr) property is a 5-star beachfront resort located in Playacar. It is the winner of the 2013 Green Globe Award. This property has 350 guest rooms made up of a variety of room categories including 324 Standard Guestrooms, 24 Junior Suites, and 2 Presidential Suites. Each room comes equipped with a safe and minibar. Room service is offered and free WiFi is available in the lobby. There are many dining options available including 3 specialty restaurants, 1 buffet restaurant, and 3 bars. The al a carte and buffet restaurants feature a mix of traditional Mexican as well as international cuisines such as Japanese. An ice cream stand is open during the day for a pool side snack. If you would like to be active while on vacation, this property offers many options. Activities include tennis, bicycle tours, riflery, yoga classes, stretching, beach volleyball, horseshoes, petanque, dance classes, darts, archery, beach soccer, and Zumba. 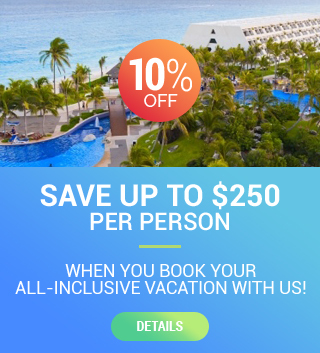 Water activities such as water polo, aqua aerobics, pool games, water basketball, water volleyball, scuba diving, jet-skiing, catamarans, parasailing, kayaking, snorkeling, and windsurfing. Additionally, a fully equipped gym is available for use. Stay relaxed at this resort with a trip to Sensations Spa which offers a full range of spa services. Such services include massages, facials, and therapies. Jungle massages are also available and hotel guest can use the steam room/ wet areas for no additional charge. There are many entertainment options for both children and adults at this property. Kids stay entertained by use of the kid’s pool, kid’s club, kid’s corner, mini-disco, mini-bowling, films, handicrafts, sand castle building, treasure hunts, Spanish lessons, and more. For adults, options include dance instructions, pool games, and theater shows. Activities are also available for families to enjoy together.